Dining out at a restaurant. Taking weekly trips to the movie theater. Buying the newest smartphones available. We all know those are easy ways waste your money, but what about you? Do you think it’s possible that you’re wasting your money on clothes? Many well-meaning moms find that answer to be yes — but not for long! Once you identify the money-wasters and avoid them, you can be a money-saver! Budget-savvy parents (most likely that’s you) create a family budget to ensure that the family’s needs are met and bills are paid on time. But did you know that many families are unknowingly wasting more money than they’re actually saving on clothes ? And most American families spend 5-10% of their total income on clothing and accessories alone! Sometimes the money wasters in our budget are not super obvious! I cringe when a mom friend tells me how much she spends on one child’s wardrobe. I’m not exaggerating when some moms tell me they estimate they spend $600 on each kid per year. Ouch! I have six kids. $3600 per year for clothes is just not going to work for our family! That price doesn’t include the adults or special occasion outfits! How can a family stop wasting money on clothes? For starters, you should avoid these money-wasters. Then, use the money you save to invest in clothing for your family the smart-shopper way! 1. You don’t pay attention to clothing care labels. Yes, it does matter if you wash some clothes with colors or not. Yes, you still need to wash towels and washcloths separately from your family’s clothing. I know it’s tempting to dump the entire, mixed up laundry basket’s entire contents into the washing machine, but STOP! Your seemingly “laundry hack” will indeed ruin your clothes in the long-run — or perhaps in just ONE wash! Take care of your family’s clothing. You’ll be able to enjoy your favorite football team’s jersey a little bit longer if you do! 2. You don’t invest in the “good stuff.” Yes, quality actually matters — especially in clothing. Garments that are not properly sewn will in time develop ragged edges and loose seams. Then, if the material is cheap, the clothing won’t be comfortable, won’t hold up through repeated washings and will eventually pill up. No one wants to wear shirts covered in teeny, tiny balls of cotton fuzz! And, guess what? You can grab high quality clothing at a fraction of a price at a very special place that sponsored this post! Mmmm-hmm. It’s my new love! Swap.com is an online consignment shop that’s perfect for a busy mom’s life! You can order your family’s clothing during your child’s nap or bedtime and be done with it! No more crying babies in the store or no busy traffic to fight. Oh yeah, and no more fighting with your kids to get in the car seat! And a definite plus — you save money while still looking super-cute and stylish. 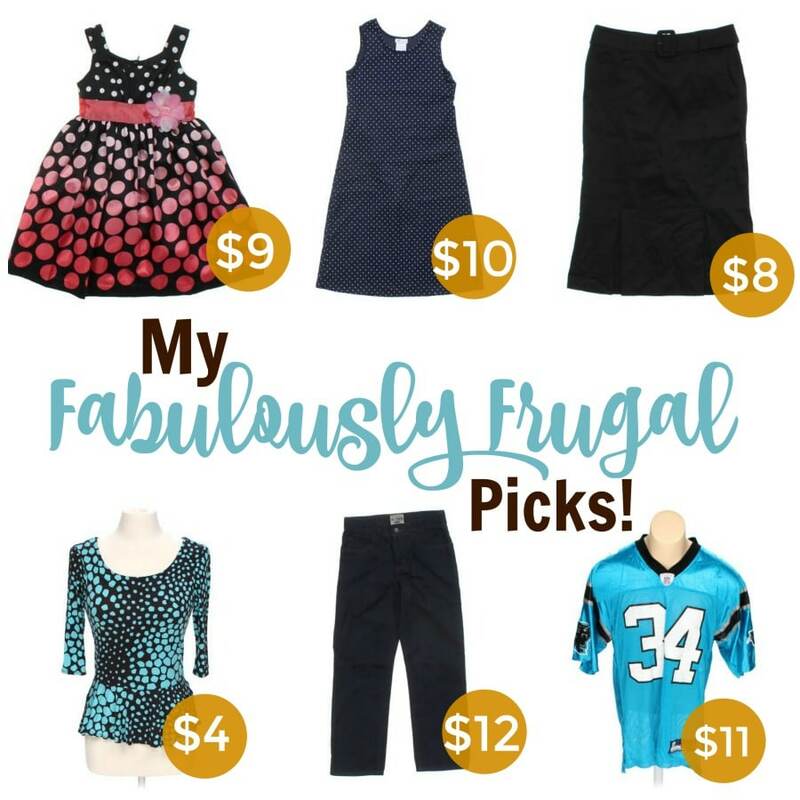 Check out a few of my fave picks below! Did you notice the Caroline Panthers’ jersey? Sqqqquuuueeeaaallll!! My 15-year-old son is a HUGE fan of the Panthers and I love it when I can find his fave team’s jerseys! Trust me, this is a steal! See if you can find your family’s fave team too! Ooh — and I have to add in if you have daughters, Bonnie Jean dresses are the best dresses to invest in. My daughters wear adorable dresses on a weekly basis (because that’s how we roll). I don’t hesitate investing in the Bonnie Jean’s line because I know, from experience, those dresses will last wash after wash. And they still look amazing after the fourth child has worn them! Many classic styles are available that never go out of style — especially the holiday dresses! And, you can’t beat $9 for a Bonnie Jean dress! I dig through clearance racks to just find them for $15! They’re normally priced at $45 and up. Now, go snag some Bonnie Jean dresses for your daughters, nieces and little sisters! If you’re ready to start some smart shopping. head one over to Swap.com and enjoy 20% off and free shipping on your first order. You can only snag this through the links on this post — so snag the discounts NOW! 3. You purchase without taking inventory. In a busy parent’s world sometimes there’s not a lot of brain space left to remember how many jeans your son still owns or how many cute, unstained white t-shirts your daughter can still wear. Do your budget a favor and take an inventory before you go shopping. Want to make it more fun? Have a fashion show tip your kids. That way they’re digging through their closest and drawers and you’re not! Plus, they’ll be having fun and enjoying all the silly outfits they can un-match up! 4. You don’t pre-wash. I know just how easy it is to overlook a stain in a large load of laundry. However, however, however…it’s absolutely worth the few minutes it takes to inspect clothes for stains and smudges before they hit the washing machine. Psst! Want to know an extra sneaky laundry tip? If you know an item is stained before laundry day, simply snap a safety pin on it or tag it in an easy way. If you have an extra laundry basket, keep one that’s only for stained or soiled clothes. That will speed up the inspection process and ensure you don’t set the stains! 5. You purchase waaaaay too many clothes. Yes, this is a big money waster in the clothing area of your budget. I have many family members who have walk-in closets that you have to shimmy sideways just to squeeze in and choose an outfit. What happens in that situation? You don’t end up wearing 3/4’s of your total clothing collection and the rest just sits and rots without any use. Not to mention it steals your storage space to hide Christmas presents! My advice? Get rid of what you haven’t worn in six months and purchase a few replacements from Swap.com to freshen up your wardrobe! Don’t forget to snag a colorful scarf to style things up! Oh, and did I mention Swap.com doesn’t just sell clothes? You read that right! It’s not only an online clothing shop it has baby gear, diaper bags and books! I saw many, stylish choices that were new with tags! Anything new with tags makes great holiday gifts for your friends and family! 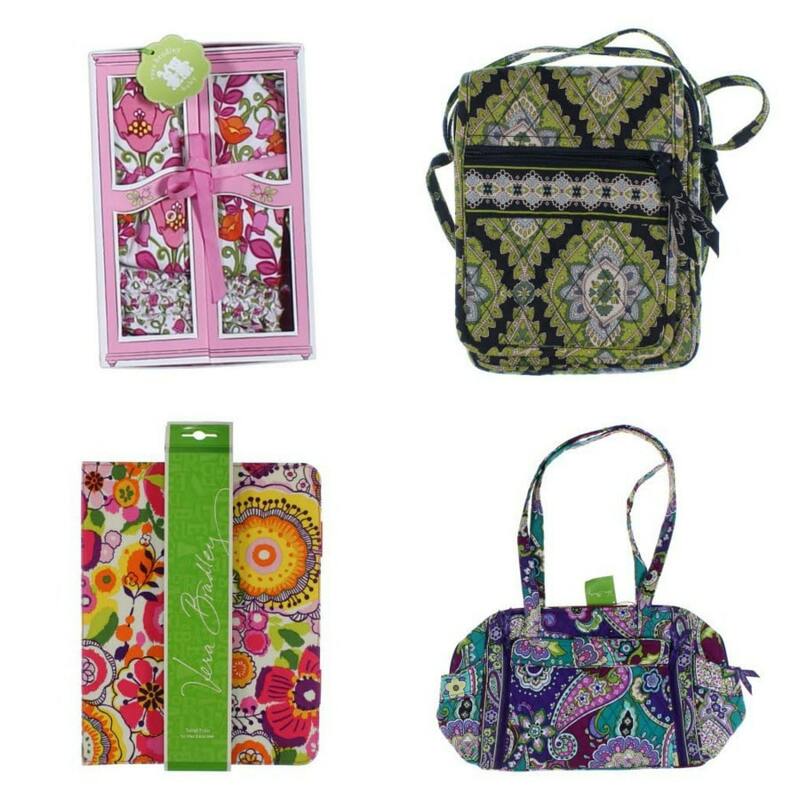 I’m eyeing their Vera Bradley choices for a family member! 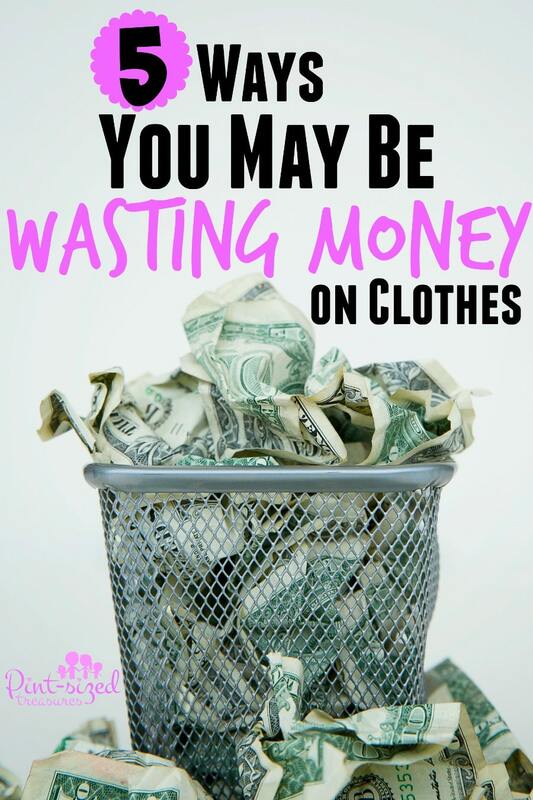 Are you guilty of wasting money on clothes? Have you found some new ways to save money on your clothes? Be sure to their your ideas with our community of moms on Facebook! Thanks to Swap.com for sponsoring this post!